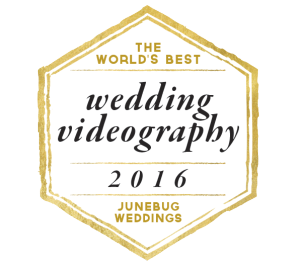 Little Rock, Arkansas: Sunflower films truly enjoyed filming Hayley and Matt’s summer wedding that took place on June 25, 2016, at Pulaski Heights United Methodist Church and Pleasant Valley Country Club. 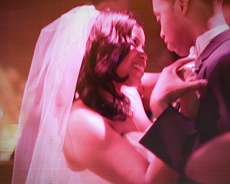 They were such a fun and easy-going couple to work with, and they definitely know how to celebrate! The day started out with bridal prep at the beautiful Capital Hotel where Hayley and all her bridesmaids and family gathered to get ready for the big day. Amy Allen had everyone’s hair and makeup looking gorgeous. Hayley was stunning in her sequined wedding gown and her blue Jimmy Choo shoes that showed her fun personality. 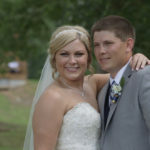 The super talented Taylor Howard Photography was there to photograph the wedding day. See their amazing photos here! Hayley and Matt read emotional letters that they wrote to each other to read on their wedding day. It was such a sweet gesture. Pulaski Heights United Methodist Church in Little Rock, Arkansas was filled with family and friends who gathered to watch the couple declare their love for each other. Hayley was escorted down the aisle by her father as Matt waited on his beautiful bride. The pastor spoke about the true meaning of marriage and the importance of the marital bond. A bubble exit awaited the couple outside the church as they excitingly made their exit. The reception took place at Pleasant Valley Country Club in Little Rock, Arkansas where tabletops were decorated with pink and ivory flowers as guests mingled and dinner was served. Blue Cake Company provided the beautiful white wedding cake that was decorated with pink roses and ivory lilies. 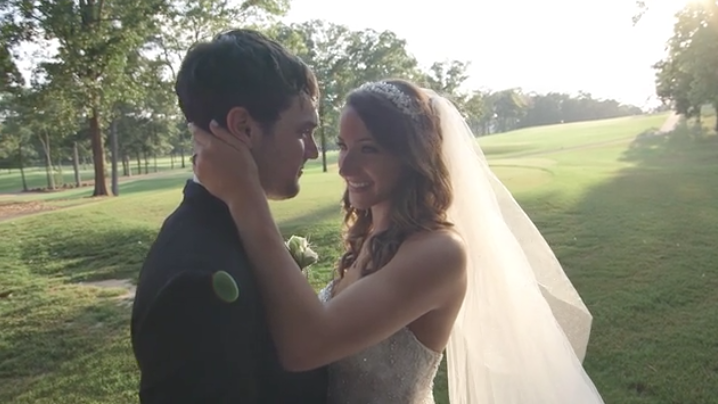 Hayley and Matt shared their first romantic dance as a married couple. Hayley danced with her father, and her cute little niece joined in, as well. Matt shared a special dance with his mother. It didn’t take long for everyone to get out on the dance floor thanks to the awesome tunes from Aces Wild Band. The bridal party joined in with the band and sang and danced all night. There was even a “guys versus girls” sing off—not really sure who won, but it was fun to watch! Hayley and Matt ended the night with an impromptu jump into the swimming pool! 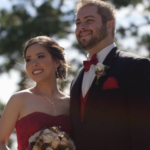 Sunflower films loved working with Hayley and Matt and capturing their fun-filled day!